Thermos, vacuum flask, insulated food jars or whatever you call it, these nifty appliances are really handy to bring hot homemade lunches to work or to keep your soup or coffee piping hot. 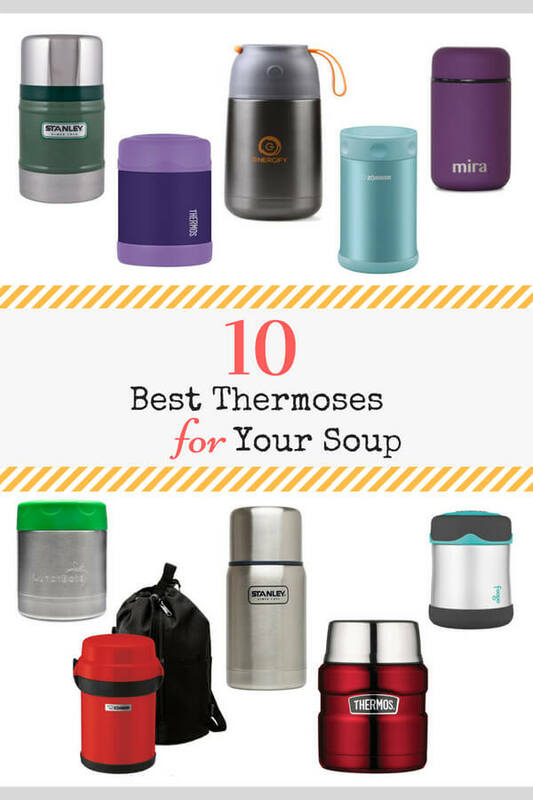 Here are 10 of the best thermos for soup and hot foods to consider, from small and lightweight food jars to larger, multi-purpose containers. 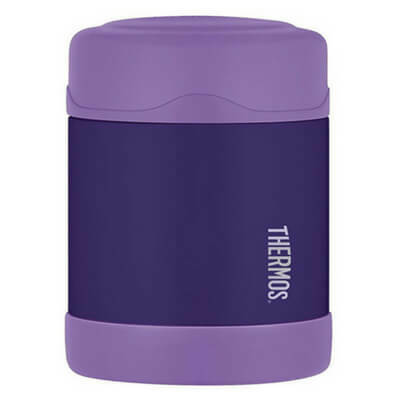 A classic and reliable brand, Thermos has been producing well, thermoses for over a century. The wide opening of this 16 oz stainless steel thermos makes it easy to fill, eat from and clean whether it’s straight from the thermos or the insulated lid that doubles up as a serving bowl. Its thermal insulation technology promises to keep hot foods hot for 7 hours and cold for 9 hours. 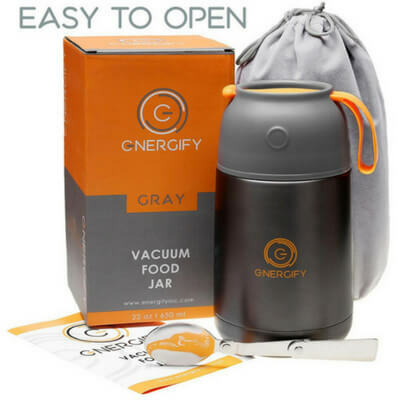 If you’re tired of hard to open thermoses, the Energify vacuum insulated food jar may just be what you need. It has an air pressure release button to allow hassle-free opening. The insulated jar eliminates the need to reheat with a microwave, thus offering you a smarter choice for a healthier lifestyle. Moreover, the generous 22 oz capacity lets you hold sufficient food, beverages or soup, which makes it ideal for those who prefer a larger portion. 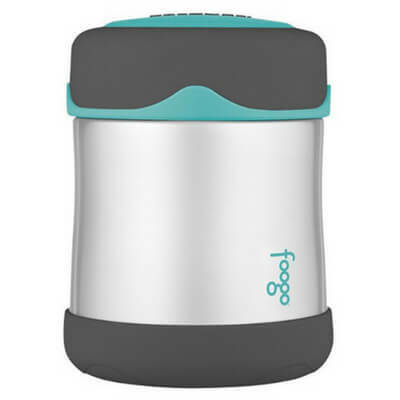 The Thermos FOOGO food jar is a popular choice for many parents to pack fresh and healthy meals for their toddlers. It has a durable exterior to withstand the rigors of daily use. Put your mind at ease with this product as it complies with applicable government and industry standard. Your toddlers will love using this lightweight and compact food jar for their school lunches. 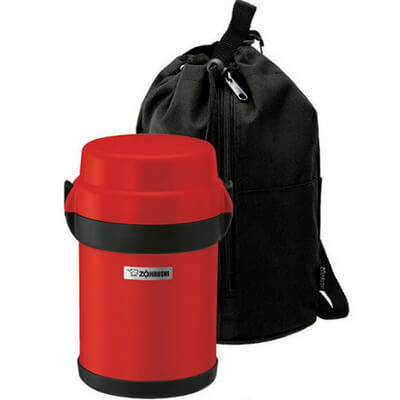 Another popular food flask for small kids is the Thermos Funtainer. It comes in multiple fun designs such as My Little Pony, Disney Cars, Minions, Hello Kitty, Frozen and an array of colors that will appeal to kids of different ages and the young at heart. The small 10 oz Funtainer is just right for kids and they’ll keep contents hot for 5 hours or cold for 7 hours. 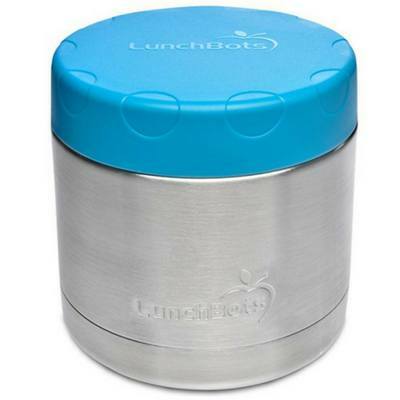 If eating from narrow and tall thermal jars make lunchtime a little awkward, try the Lunchbots wide thermal. It is specially designed to mimic a bowl shape, making it easy to eat from and convenient to fill. Its triple-insulated thermal technology keep foods hot for 6 hours and cold for 12 hours. Both the outer and interior including the underside of the lid is made of stainless steel so no plastic touches the food. The convenient 2-cup size is ideal for anything from soups, stews to fruit salads and oatmeal. Make your lunches more interesting and healthier with Zojirushi Mr Bento Stainless Lunch Jar whether you’re in the office or on the go. It has a soup bowl, a main bowl and two side bowls to offer you greater flexibility when packing your lunch. Ideal for those who want to bring a multi-course meal out. 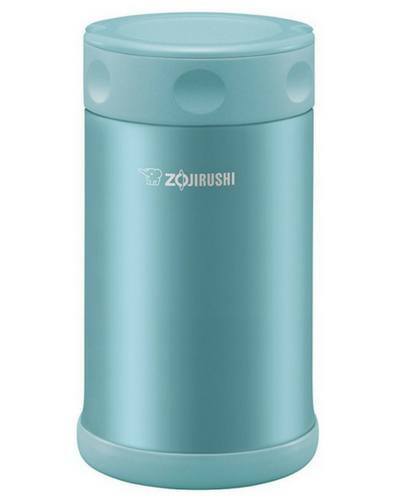 Meet the sleek Zojirushi Stainless Steel Food Jar. Beautiful and functional with excellent vacuum insulation to keep contents hot or cold for hours. For best results, pre-heat or pre-chill the food with hot or ice water for optimal heat retention. The dimpled lid can be removed completely for thorough cleaning. Great for holding hot meals, soups, oatmeal, cold desserts and much more. It is ideal for both adults and children. Mira may not be as well known as the more established brands, but it does an excellent job of keeping foods hot for up to 5 hours or cold for up to 10 hours thanks to its high quality insulation. 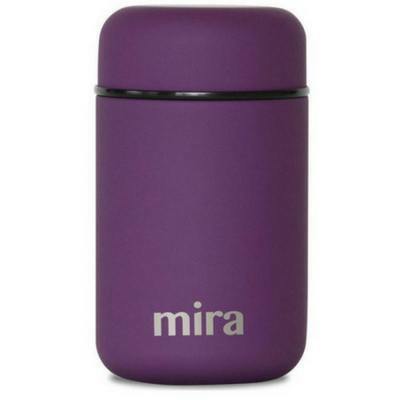 Enjoy your hot soups and stews, cold yogurt and more on the go with Mira. With a rich 100+ year history, Stanley is still going strong. It is an icon of durability and reliability for vacuum bottles. The Classic series is available in 2 colors and a range of sizes. Rugged and built to last, it is ideal for those who enjoy having their meals outdoors while doing their favorite activities. The 17 oz classic bottle is perfect for soup or chili and promises to keep hot foods hot and cold ones cold for 12 hours. 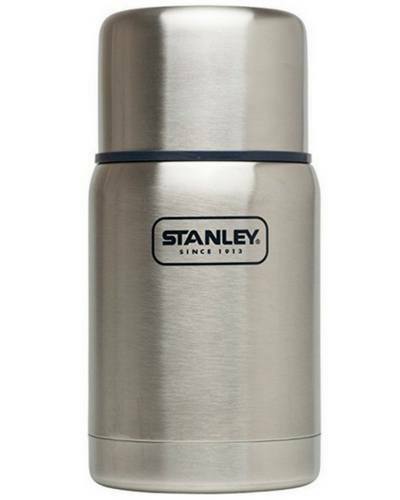 All Stanley thermoses come with a lifetime warranty. 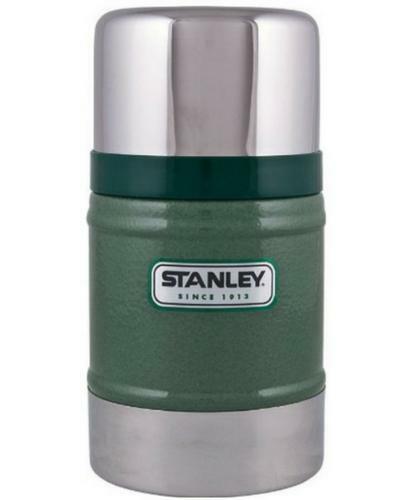 The Stanley Adventure food jar is a sleek vacuum bottle that will make you proud to take out. More importantly, the vacuum insulation will keep contents hot or cold for up to 15 hours. The wide mouth allows easy filling and cleaning. From keeping soup hot to keeping ice cream nice and cold, Stanley’s Vacuum Food Jar will do it all. It is available in 3 sizes to suit different needs. So there’s a lot of choices when it comes to keeping your soup steaming hot or foods icy cold! I admit it’s quite a tough choice. I personally like the Thermos Stainless King. It is sturdy, beautiful and efficient at what it does. The Stanley Classic Vacuum Bottle also gets my vote simply because I’m a sucker for old-school designs. Both of these brands have an excellent reputation and can be trusted to retain heat for extended periods of time. I hope this article helps you find the most suitable thermos to suit your needs. What is your favorite thermos? I’d love to hear your opinions in the comments below! I need one of these for work – this post is a great resource for me, thanks! Hello Yvonne I enjoy looking through your recipes. I especially like Mr Bento simply because I’m a rice eater and I like my rice in one container and my soup and main dish in another. Great information. I will note your article for future reference. I have a friend in the market of getting one I’ll let her know. This is exactly what I was looking for! Me and my buddies all work shift work and a go-to thermos means EVERYTHING! I’m gonna pick one of your two favorites. We think alike! Thanks for posting this! I think I would go with the tried and true – Stanley 17 oz Classic Vacuum Bottle. With a brand like Stanley, it has been around a long time and is very trusted. I like the classic design as well. Thanks for the review! I think I will start packing some hot foods for lunch and using a thermos. Soup for lunch in the winter time is always a fun thing to have. It really warms you up. Thanks for the information – I’m a soup lover myself and my daughter is crazy about soup so I know she would also appreciate all of this. Personally, I think I would go for the Mr Bento Stainless Lunch Jar because you can pack different courses – brilliant! And if my children were still young I would probably consider the Funtainer with all the different colours and designs. Wow, these definitely aren’t my grandparent’s thermoses! I just remember those tall silver thermoses from when I was young and these are way better looking. I like the one with the vacuum seal where you can release air before trying to open it. I absolutely love hot beverages and I think I might need to get a thermos to bring some along when I’m going places that might not have any. Thanks for the great reviews and post. I need one that will last! I have had thermos after thermos and I cannot get one to last more than 2 winters. I will admit that I am a little rough with care but on a chilly fal morning when those fish are biting I don’t have time to be cautious. I’ve drooped one off of a cliff and is split right open. One I put in the dishwasher and it came back rusty. Hi Yvonne. As a proud owner of a MIRA, I can attest to its quality. You’ve got some great options on here but I guess i’m a bit biased :). Love the website! I assume one can use not only for soup, right? I like that you listed the BPA free model. Yes, you can certainly use it not only for soups but also hot foods, coffee, tea and also cold foods such as salads, iced drinks, ice-cream and more. These thermoses are exactly what I was looking for. I make homemade bone broth and I store them in mason jars. But it is inconvenient when I want soup at work or to sip on during the day because there may not be a microwave available. Having a reliable thermos would be a huge help and these look very sturdy and reliable. There perfect for bone broth. 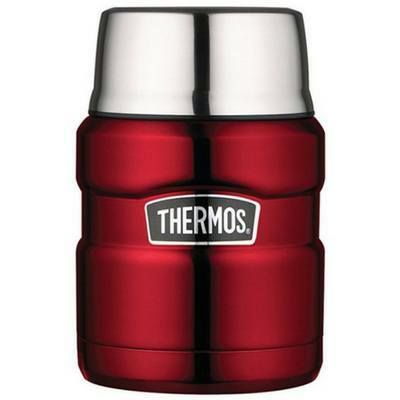 Indeed, a reliable thermos would be really useful to bring hot soups to work as not every office has a microwave. I like the idea of bringing broth to work. Thanks for writing in!